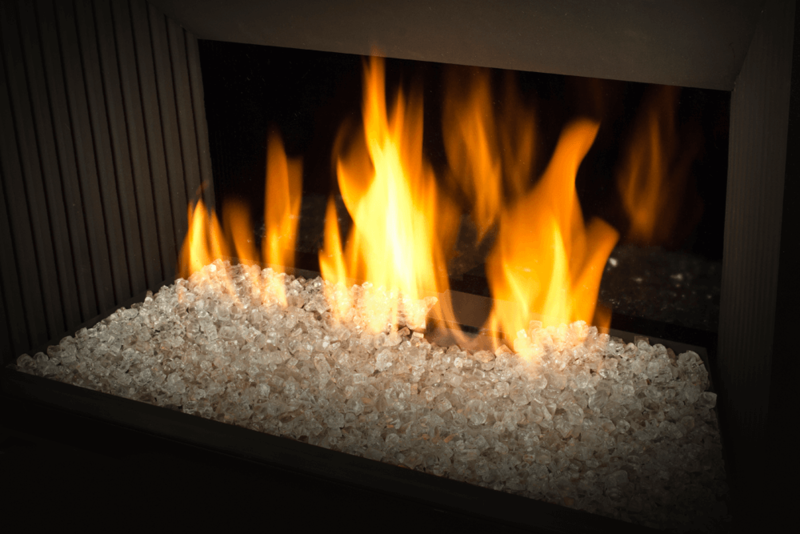 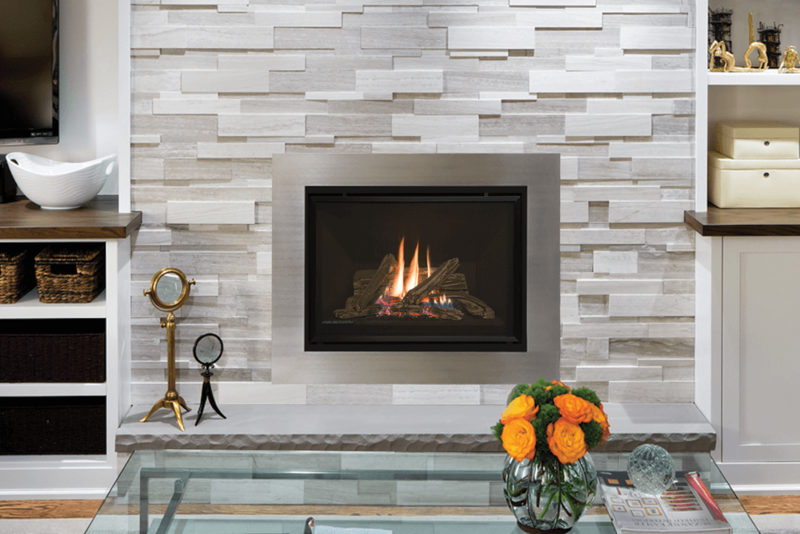 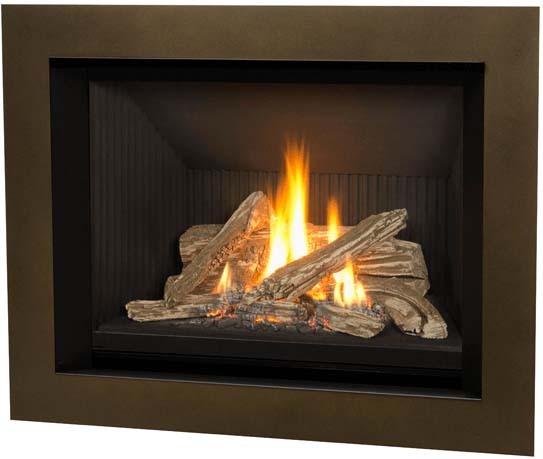 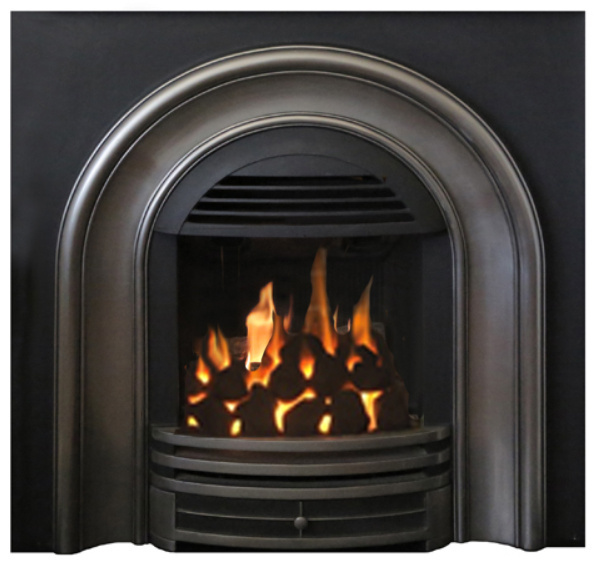 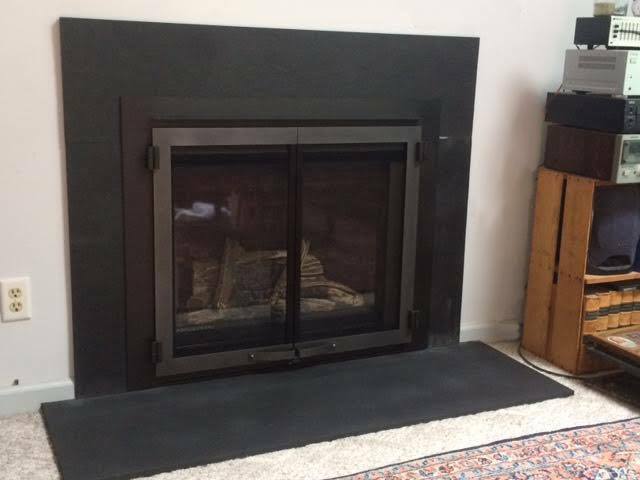 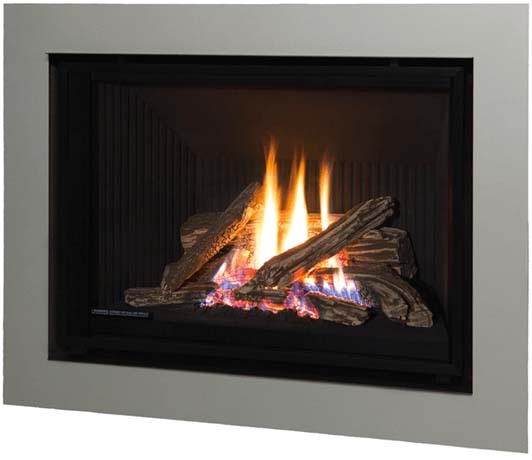 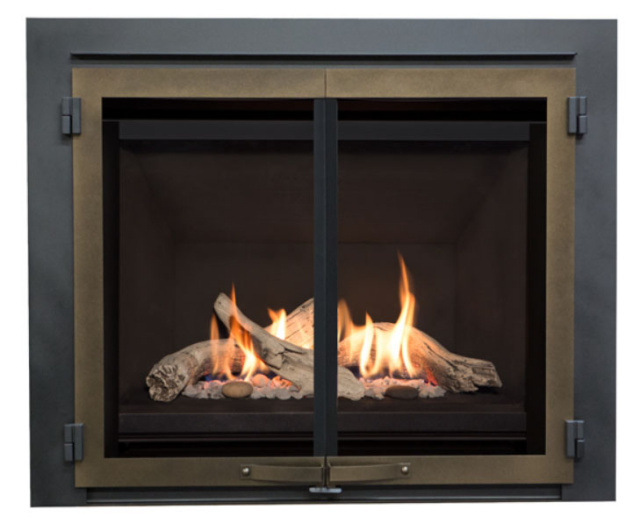 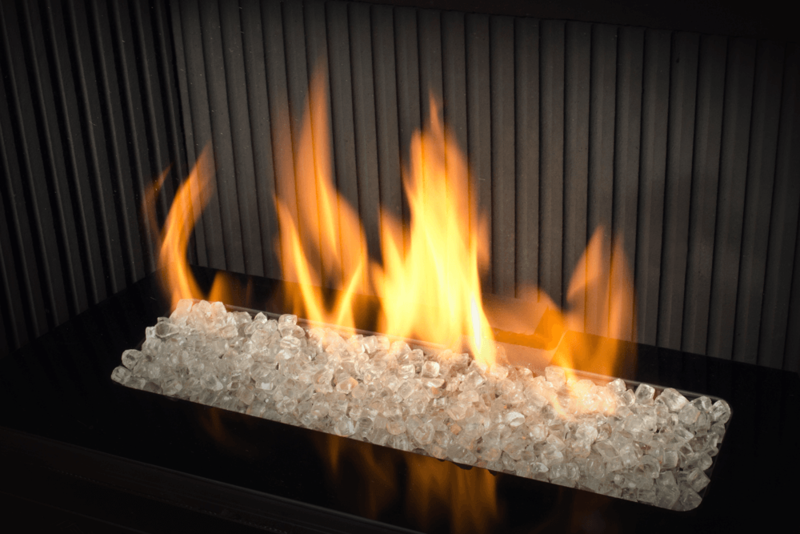 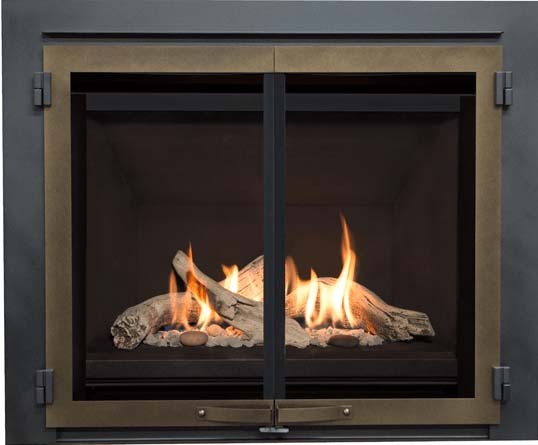 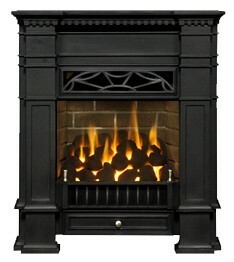 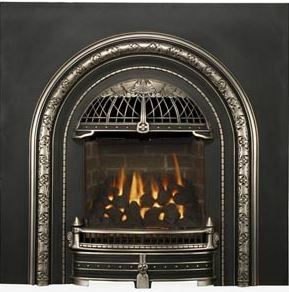 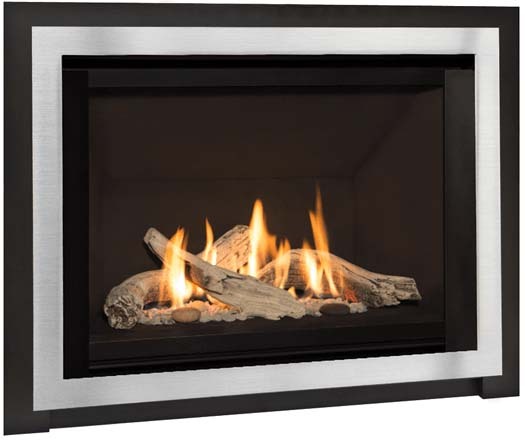 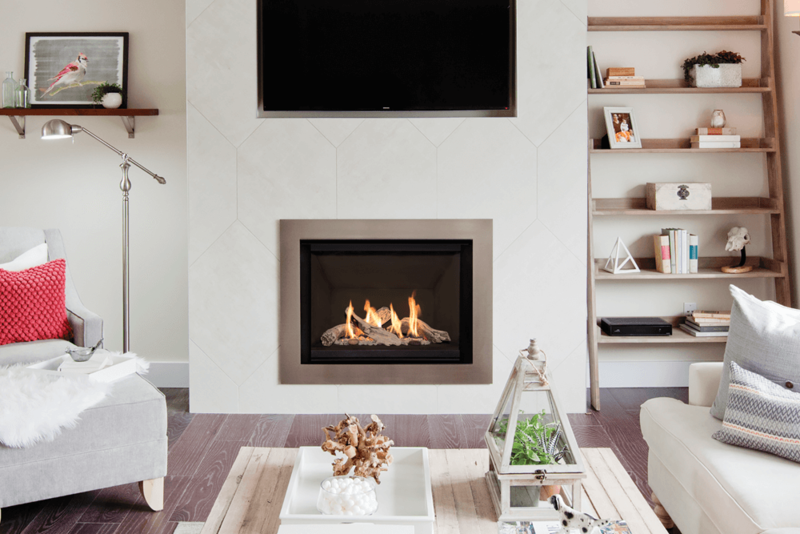 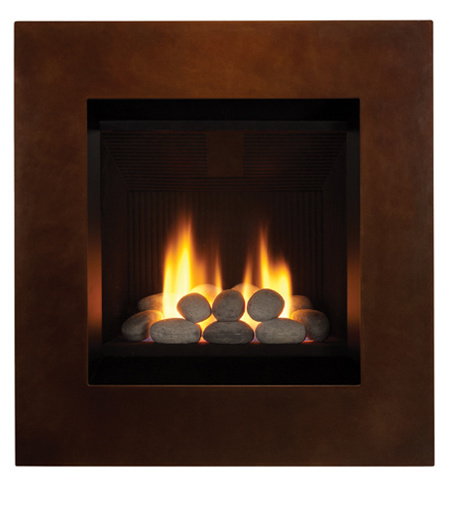 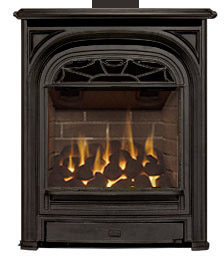 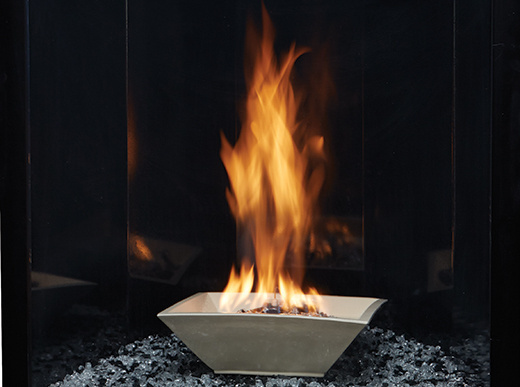 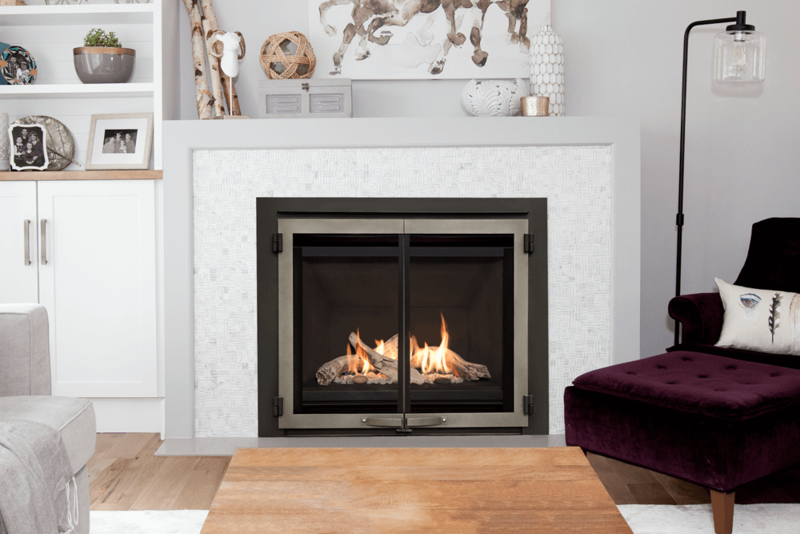 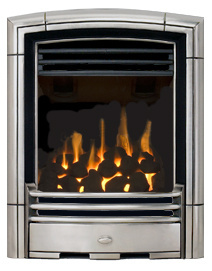 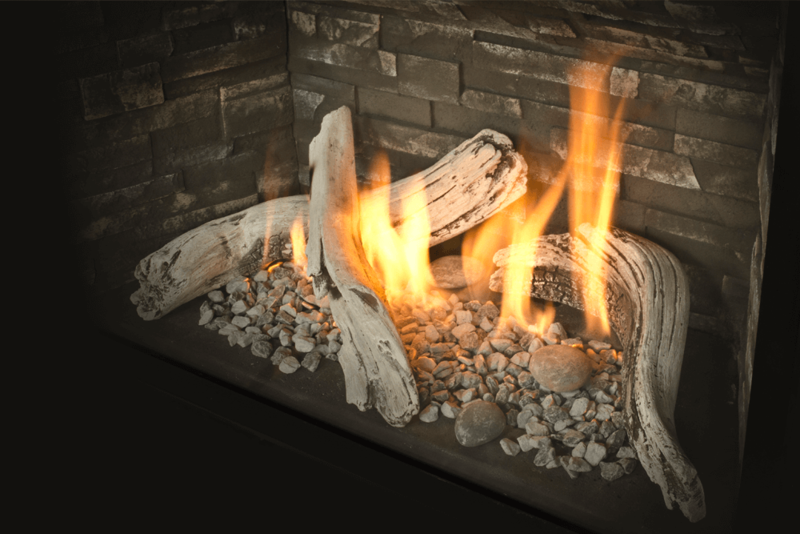 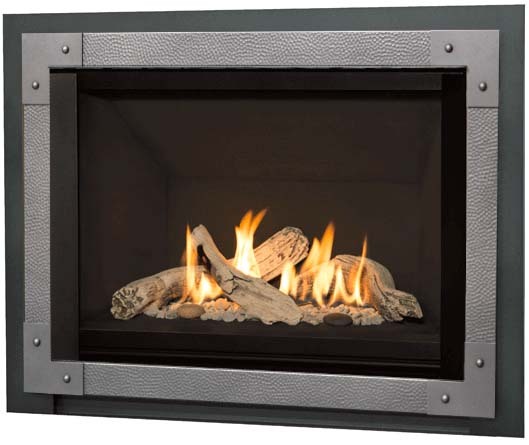 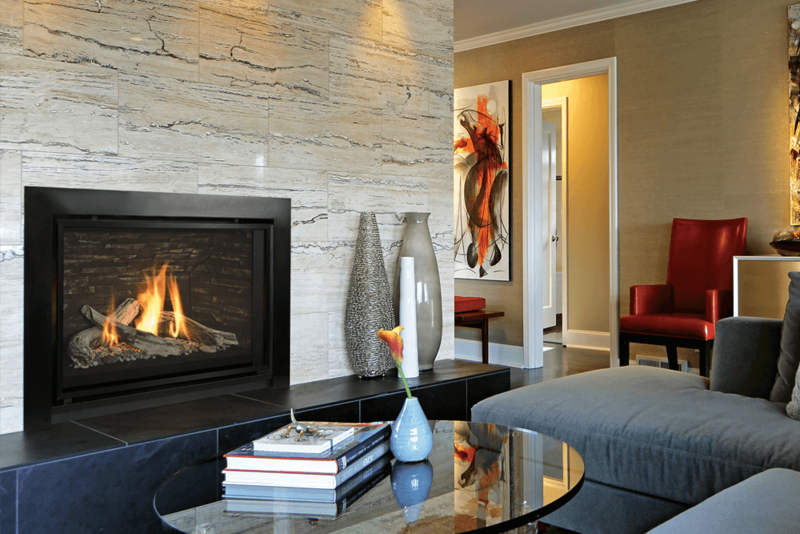 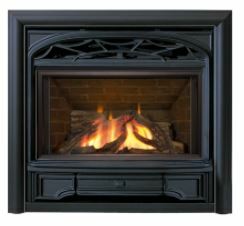 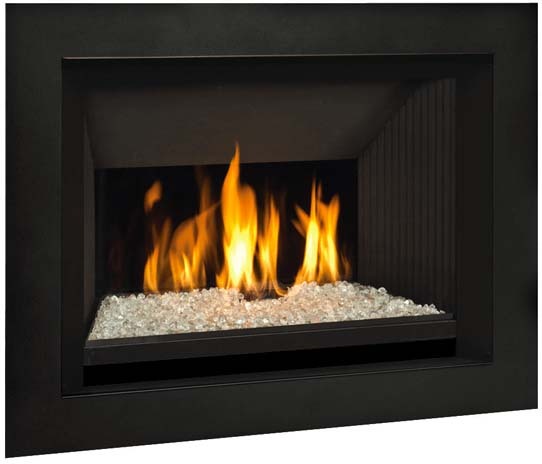 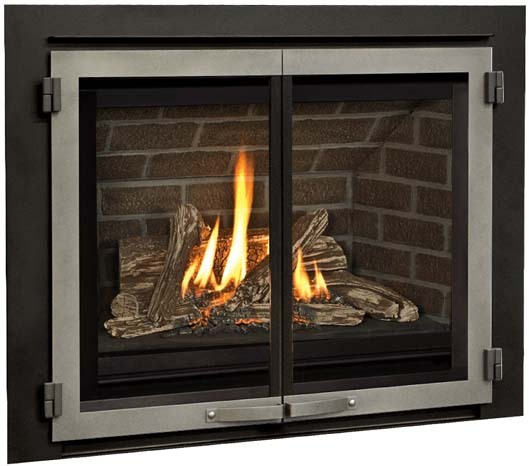 The Horizon H5 is an updated model with more design features, allowing you to truly customize the look of your new built-in fireplace or insert. 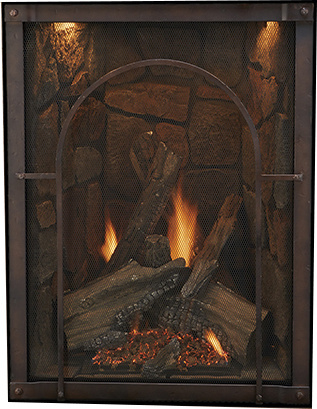 Flexible venting options and small depth mean you can install a new fireplace into virtually any room in your home, while maintaining a large fire viewing area, or transform your existing masonry fireplace into a powerful source of heat.The valve is controlled via a battery system so it offers thermostatically controlled heating, even when the power is out! 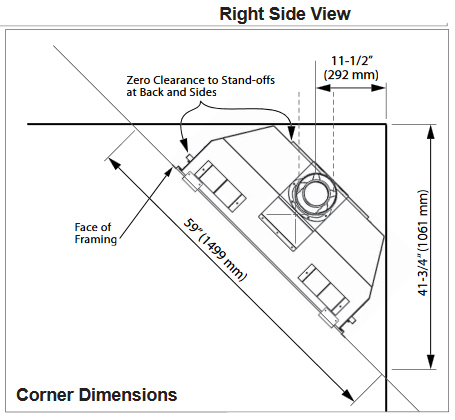 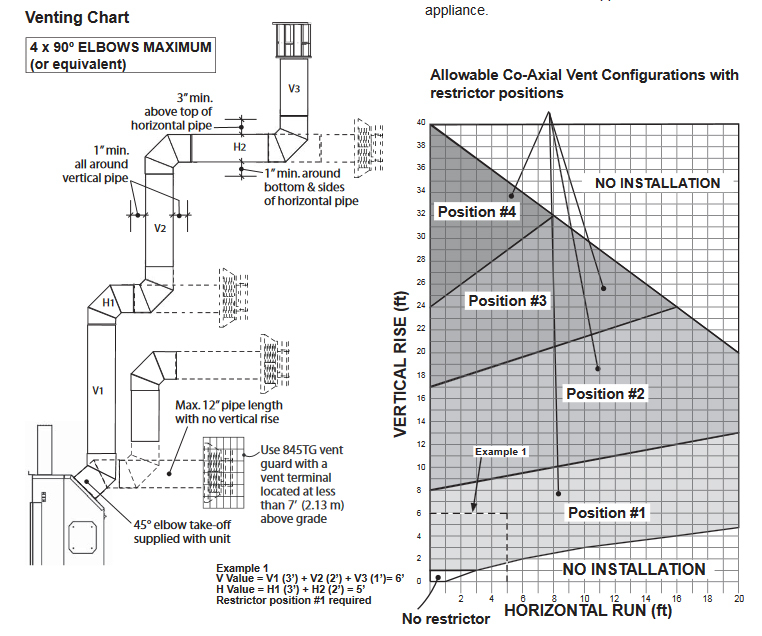 The vent is at a 45 degree angle and will require a 45 degree elbow with coaxial venting to either rear vent it or top vent it when used as a FIREPLACE. 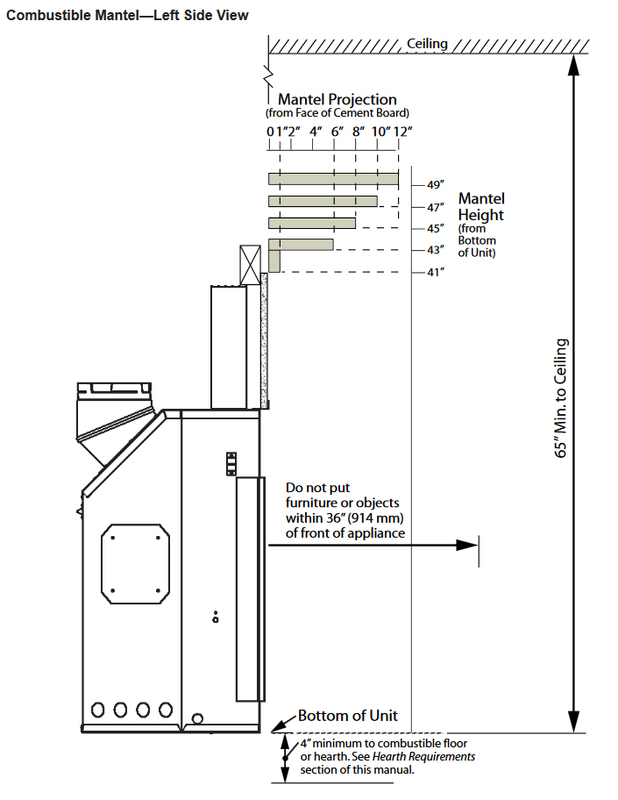 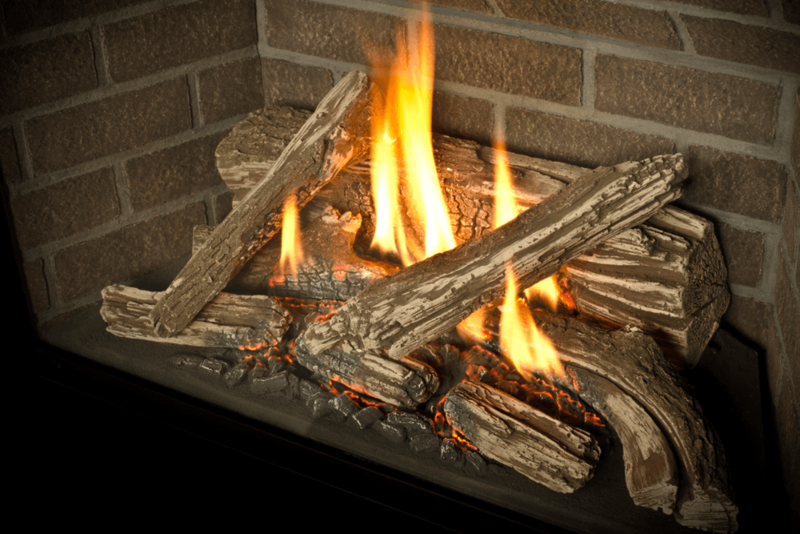 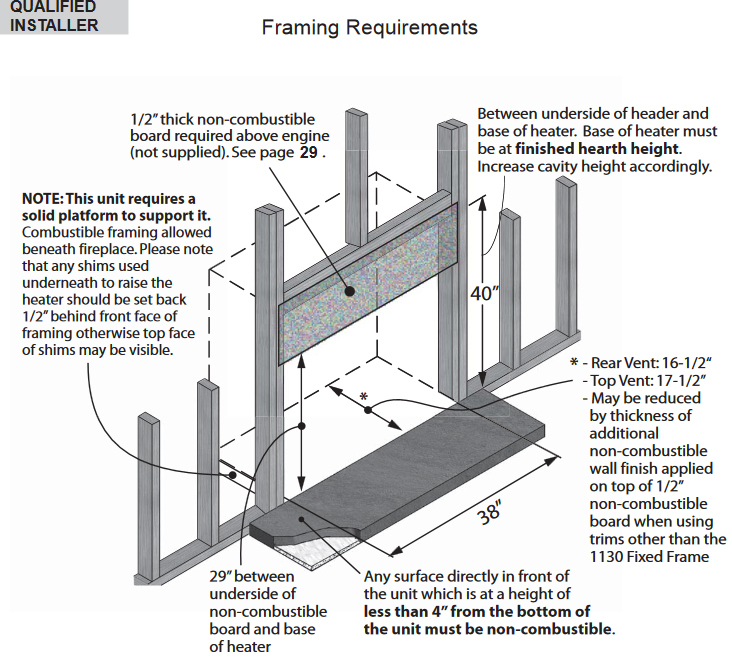 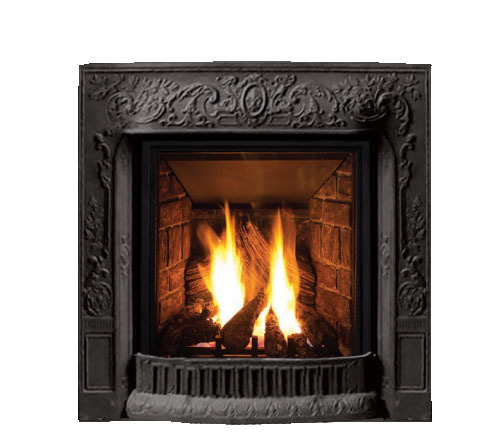 When used as a FIREPLACE INSERT, an adapter is required to convert from coaxial to colinear venting, where a 4" liner and a 3" liner are installed from the fireplace to the top of the masonry chimney.